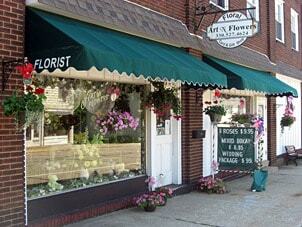 Art N Flowers Floral Shop is family owned and operated with one location serving Garrettsville and the surrounding areas. We are proud to offer a 100% satisfaction guarantee because we take great care in handling, arranging and delivering your orders. We delight in pleasing our customers and recipients. Our friendly and knowledgeable staff is continually advancing their skills by attending seminars and workshops on all the latest trends in the floral industry. We also offer free wedding consultations! 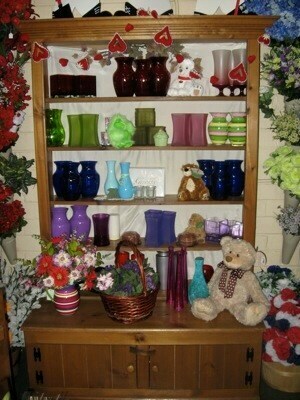 Let Art N Flowers bring a smile to your friends and family with a gorgeous fresh bouquet today! *Hours from Monday through Friday 9-5 p.m. and on Saturday 9-3 p.m. We are closed on Sunday. If you have any questions or concerns please call us toll free at 866-330-4624 or send us an e-mail at customerservice@artnflowers.net. We're always here to serve you and make your flower-sending experience a pleasure. Delivery charges for local delivery are $8.99. Orders received by 1:00 p.m. for same day deliveries. It is advisable to choose a second choice when ordering for the same day delivery close to the cut off time. In doing so, you will be assured of getting something you have selected, in case your first choice is unavailable on short notice. We always fill your order to full value.